Formerly known as the Dade, Miami-Dade County is simply glorious. Today it holds Florida’s maximum population, despite its troubling past. The word Miami, which was added later for recognition, comes from ‘Mayaimis’ - the natives that inhabited the land in 17th century. Dade, on the other hand, takes its name from Francis L. Dade, the Second Seminole War major who was martyred in a battle with his opponents. The disturbing past now has little relevance to the thriving and bustling county that we know today. Its tall skyscrapers, spotless beaches, golden sands and melting pot of cultures makes this place a pulsating location for locals and tourists alike. Miami-Dade is a county that relies strongly on tourism. Over half of its visitors make up international tourists that come for the beauty and stay for the vibe. Travelers stick around long enough until the county starts to feel more like home than a vacation. One can just sunbathe, lounge on the beaches, go shopping in downtown, explore the energetic lifestyle and visit the Everglades for an adventurous experience. There is something for everyone here. However, not all is hunky-dory with Miami-Dade. Sometimes there are hurricanes, floods and storms that bring the thriving life of the county to a screeching halt. When Hurricane Irma was announced in 2017, most of the tourists had to cut their vacations short prematurely, and go packing to much safer locations. The same happened way back in 2005 when Hurricane Katrina was projected. The massive destruction caused by these natural events made lives of its locals a living hell. You can prepare all you like, but there is very little you can do when you are struck by one of god’s acts. Hurricanes, floods, fire etc. are real and very much a possibility, especially if you live in a place like Miami-Dade. This is why Homestead Emergency Restoration was established 20+ years ago, to help the community get over the catastrophic events within as little time as possible. In 2005, federal funding was offered to help accelerate support for the cleanup efforts. However, many companies used that as an opportunity to fill up their coffers. But Homestead Emergency Restoration stood its moral high ground and did what it was designated to do i.e. help the victims recover their losses, restore their lives and provide quick damage remediation service. Need one of the following services? Call us at 786-408-2426 right now! Damage mitigation: It doesn't matter what size of damage you have on your hands. One call to us will fix it all. 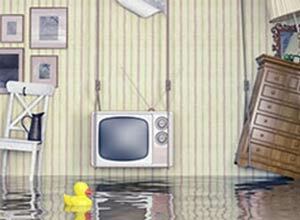 Biohazard removal: With water damage comes mold, and with mold comes health problems. Why wait for it to escalate when you can deal with it immediately? Call us now. Detection and removal: We do not use the destructive method to guess where the leak is. Our sophisticated equipment can help us spot the leak non-invasively, even if it is buried deep inside. Clean up: We clean up the mess left behind after disasters. Reconstruction: We have industry partners in Miami-Dade that can reconstruct and renovate your property to your liking. Makeovers: Need a facelift for your property? Speak to our experts today. 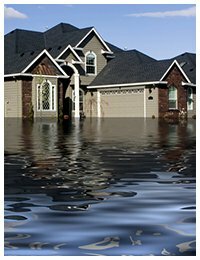 Homestead Emergency Restoration offers most comprehensive range of remediation, restoration, reconstruction and remodeling services. Call us now on 786-408-2426.